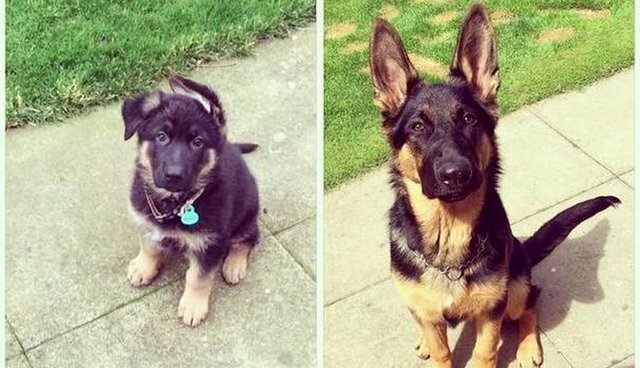 Dogs grow up so fast ... like super fast actually. 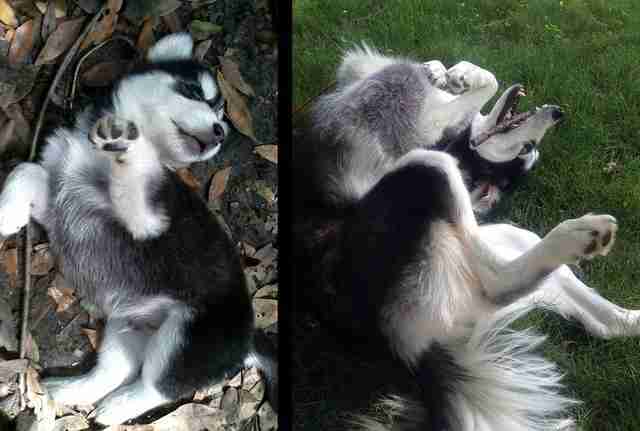 That tiny puppy turns into a giant fluffy dog in no time, so savor the little moments. 1. 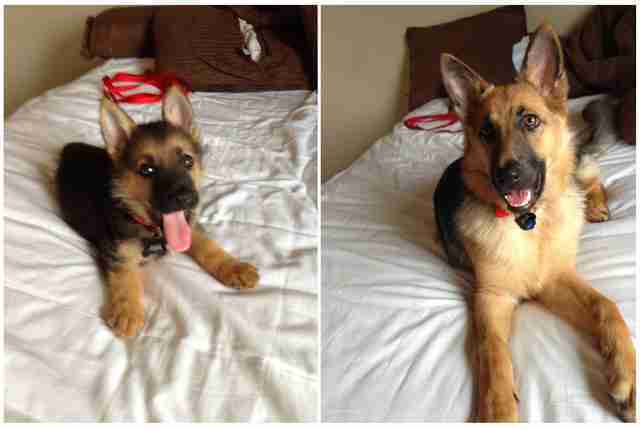 "The difference 3 months makes. Corgi for scale." 2. 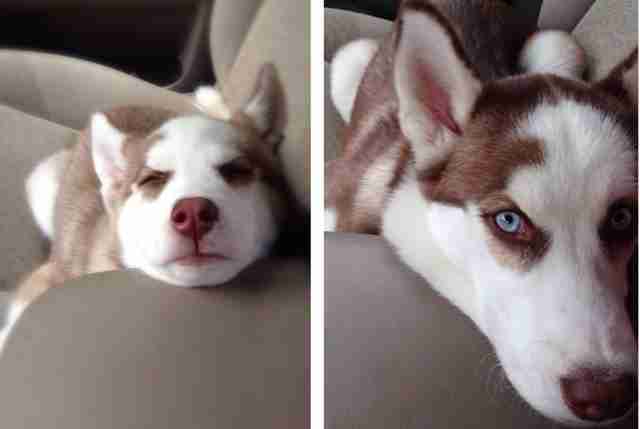 "1 month vs. 6 months." 3. 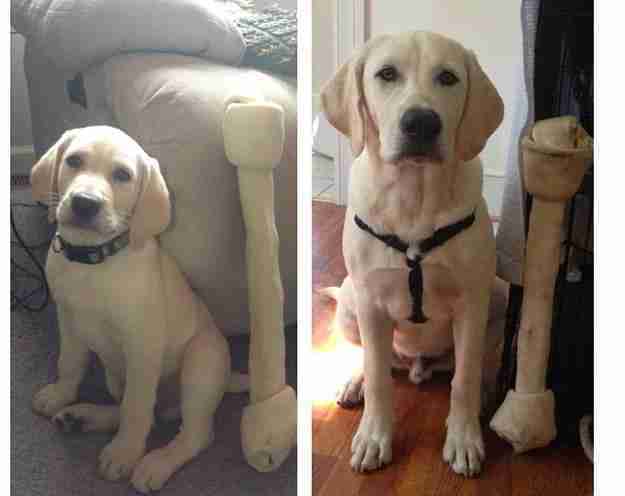 "From 2 months (8 lbs.) 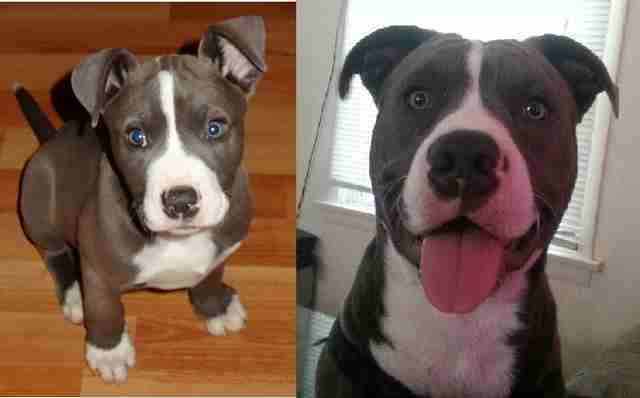 to 6 months (50 lbs.)." 4. 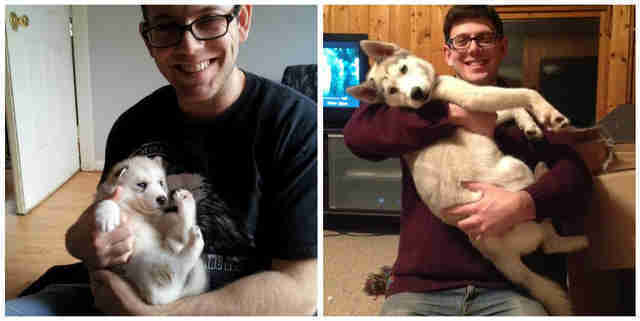 "8 weeks vs. 8 months." 5. 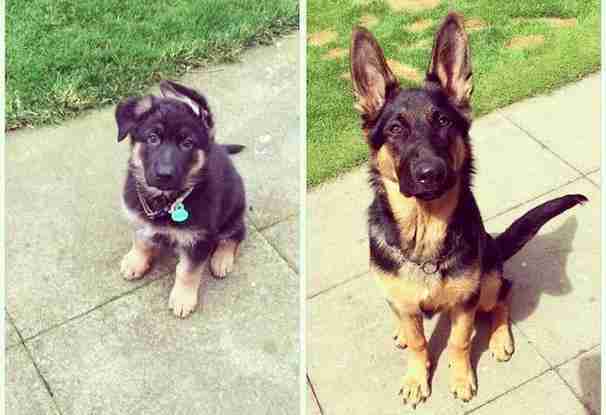 "The difference 10 months can make." 6. 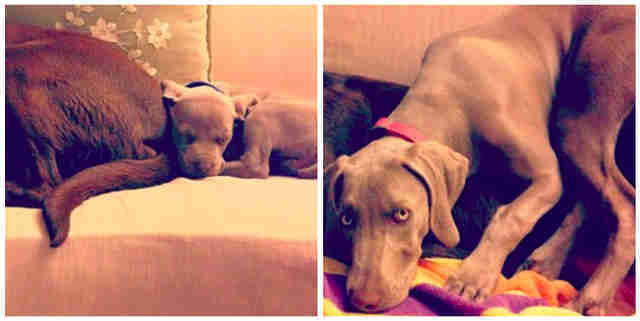 "My boy is 6 months old. Happy half birthday, Zac!" 7. 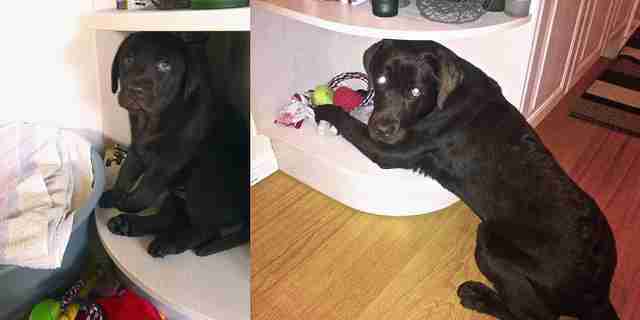 "Her favorite spot, photos taken 3 months apart." 8. 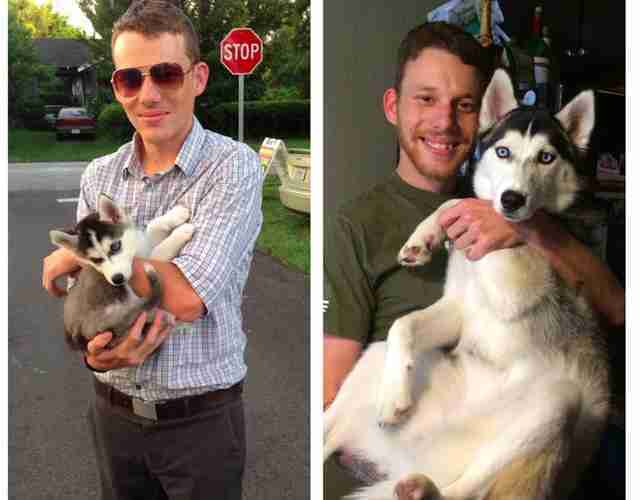 "So much can change in 3 months." 9. 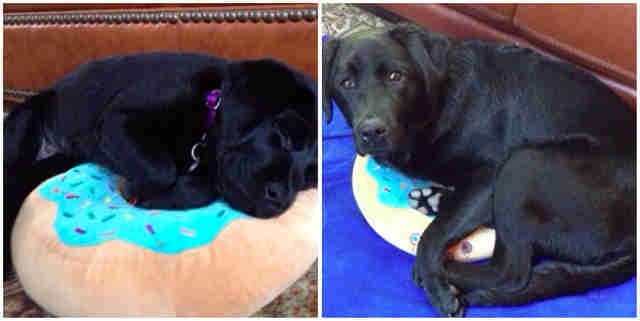 "Here she is, back on her donut, 5 months later." 10. 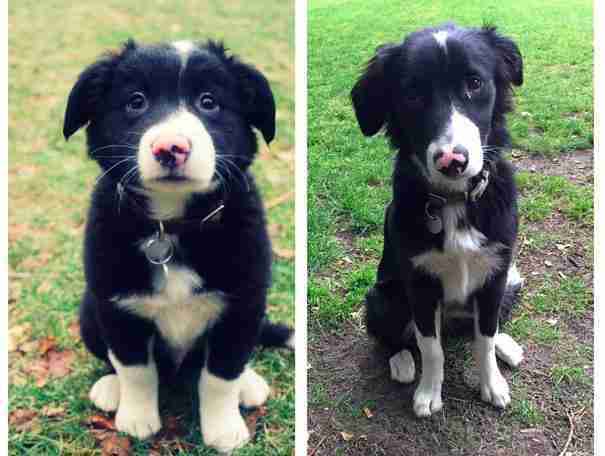 "7 weeks to 7 months." 11. 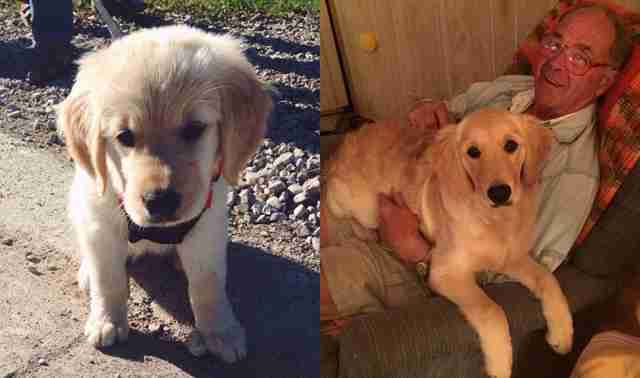 "What a difference 7 months makes!" 12. 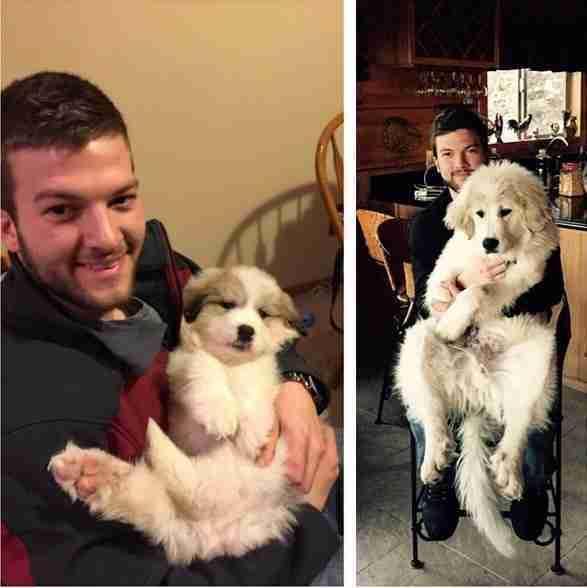 "Puppy growth 4 weeks to 8 months." 13. 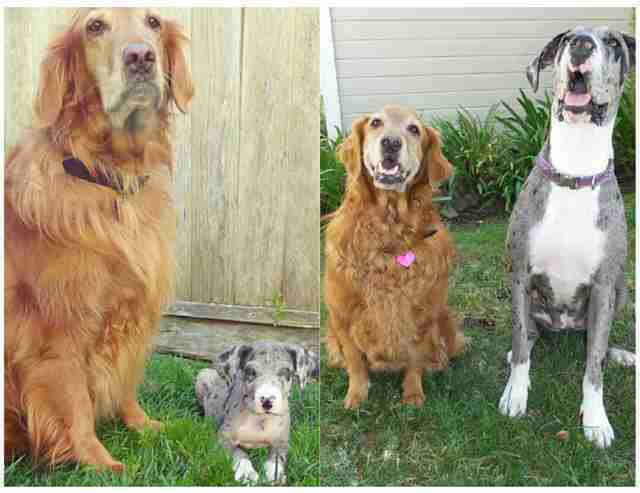 "What a difference 7 months makes." 15. "This is after a month! This is Tex." 16. 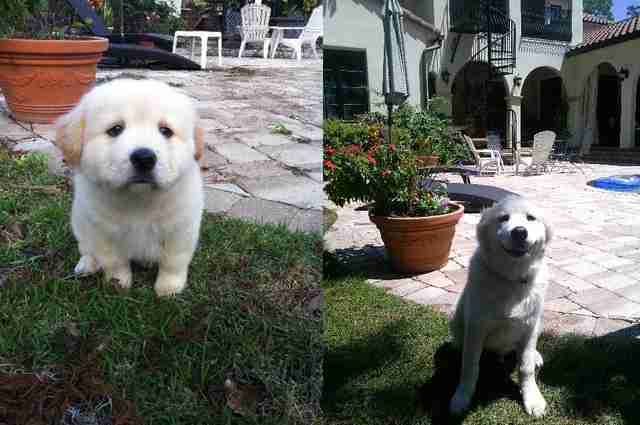 "4 months later ... "
17. 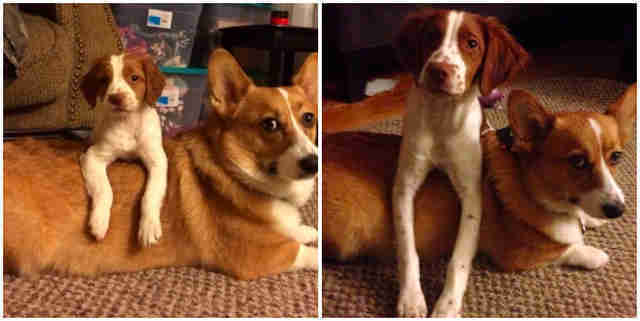 "What a difference 7 months can make!" 18. 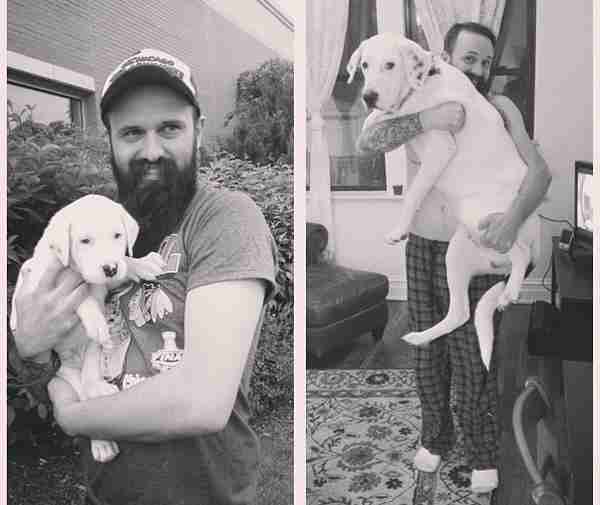 "15 months ago and today." 19. 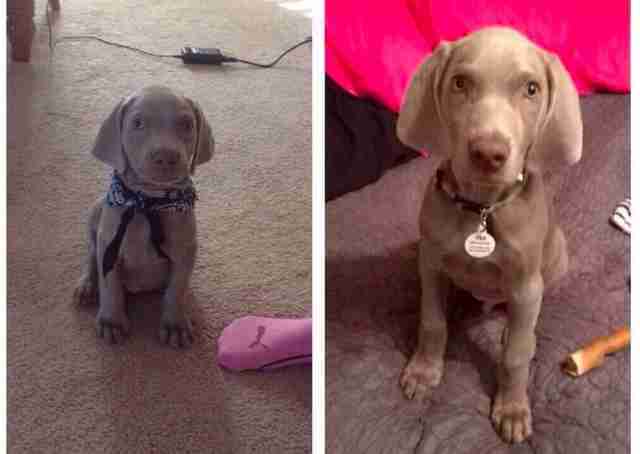 "Beaux at 2 and 5 months. Friend for scale." 20. "I've only had this guy 2 months." 21. 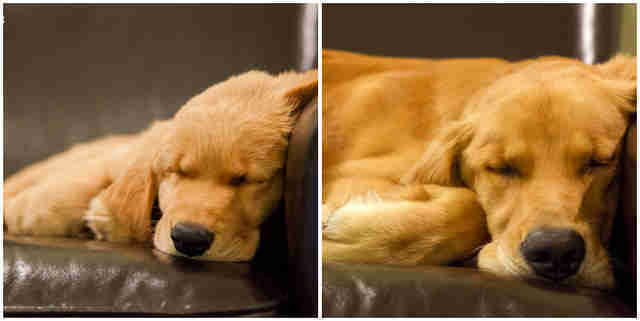 "What a difference 4 months makes!" 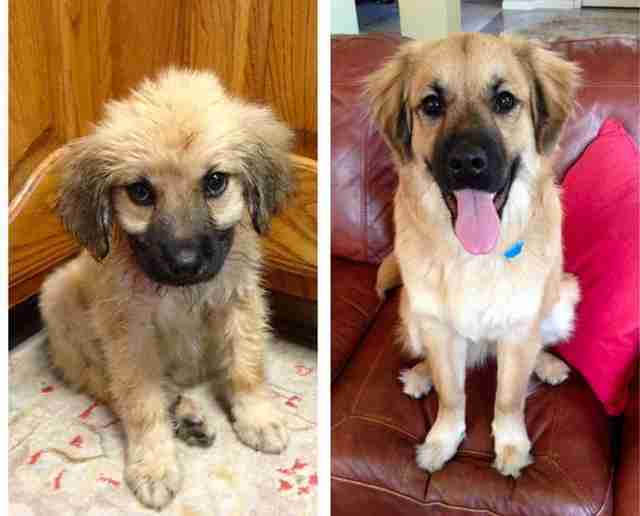 Check out even more amazing before and after photos of dogs growing up.